Great ad-sales people never rest. When it comes to prospecting and engaging with customers, they seek an edge every day; rising earlier, making more calls, and gathering more information that will be useful to their prospects. While the days of cold-calling are not over, the Masters of Media Selling use every tool at their disposal to earn the attention of their prospects. More and more that means social media. Ad-sales people use social media to learn about their prospects, to contact them, to build their reputation and to create frequency of impression to be remembered. Getting more appointments, in person, on the phone or online, is the first thing that separates the great ad-sales executives from the good. A twenty-percent increase in appointments leads to a 20% increase in business. So prospecting is clearly job-one. Earning more of the right appointments, earning the time and attention of senior management at prospect-companies, is especially challenging. 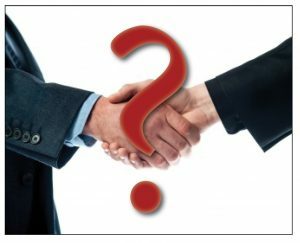 Senior executives like to say they delegate media-buying decisions to their team or agency, but they still drive the decisions. The buyers want to buy what they think their bosses will like and approve, so developing the ad-sales skills to earn appointments with senior managers is a very important part of winning more business. There was a time when “social selling” meant joining the country club. Today it means communicating through social media. 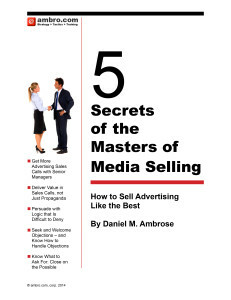 Hire ambro.com for a customized sales training seminar for your team on using social media to win more business, or just attend our public seminars in associate with MediaPost: Masters of Media Selling.